When I chose Outdoor and Environmental Studies as my higher study, I wasn’t completely sure what to expect from the subject. I guess I was seeking the opportunity to participate in the outdoors, have a bit of fun and to maybe even have a few sneaky days off school. This subject has given me so much more. In the age of technology, developing meaningful relationships with our environments is becoming increasingly difficult. We are distracted by so many other things that we forget the importance and role of the environment in our everyday lives. Outdoor Ed has not only taught me more about the world that I live in today, but through practical experiences it has allowed me to apply this knowledge, enabling me to become more connected and engaged with the world around me. 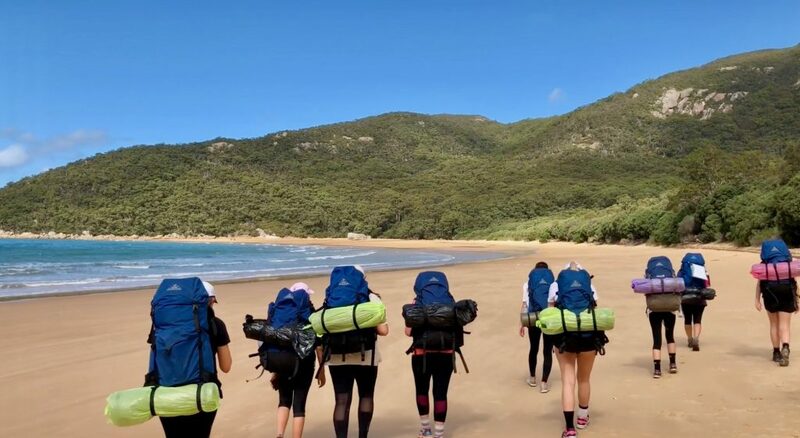 Throughout the past eighteen months we have participated in a variety of outdoor experiences and activities including, cross-country skiing at Lake Mountain, kayaking down the Yarra River, camping, hiking, rock climbing and more. Outdoor Ed has put each of us outside our comfort zones and, through this, has enabled us to truly understand what we are capable of. A highlight for many of us was hiking through Wilsons Prom earlier this year. There is something incredibly empowering about literally carrying your entire life on your back, and with our fearless leader out for the count we were forced to push and motivate ourselves in ways we never had before. We experienced some insanely beautiful views, pushed ourselves, motivated each other, and along the way created some hilarious memories.